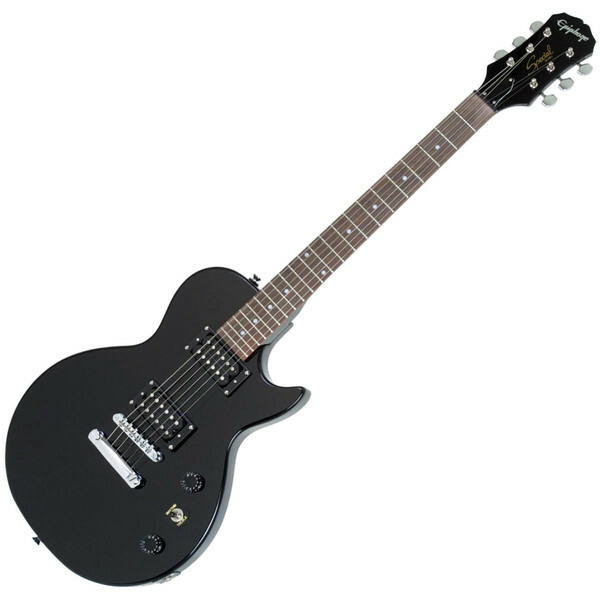 The Epiphone Les Paul Special II is a reliable and affordable guitar with an excellent sound quality, perfect for beginners and newer players who want the iconic look, feel and tone of a Les Paul at a more economic price. 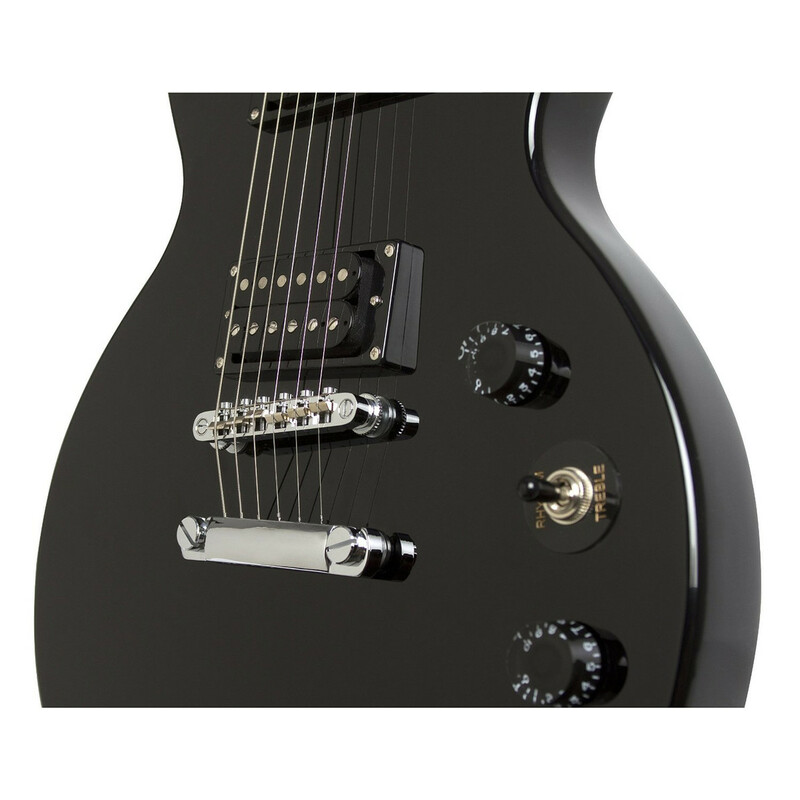 Featuring a solid Mahogany body with a bolt-on SlimTaper™ Mahogany neck and two powerful humbucker pickups, the guitar delivers a rich, warm tone with excellent sustain, while the gorgeous Ebony finish ensures that it looks just as good as it sounds. 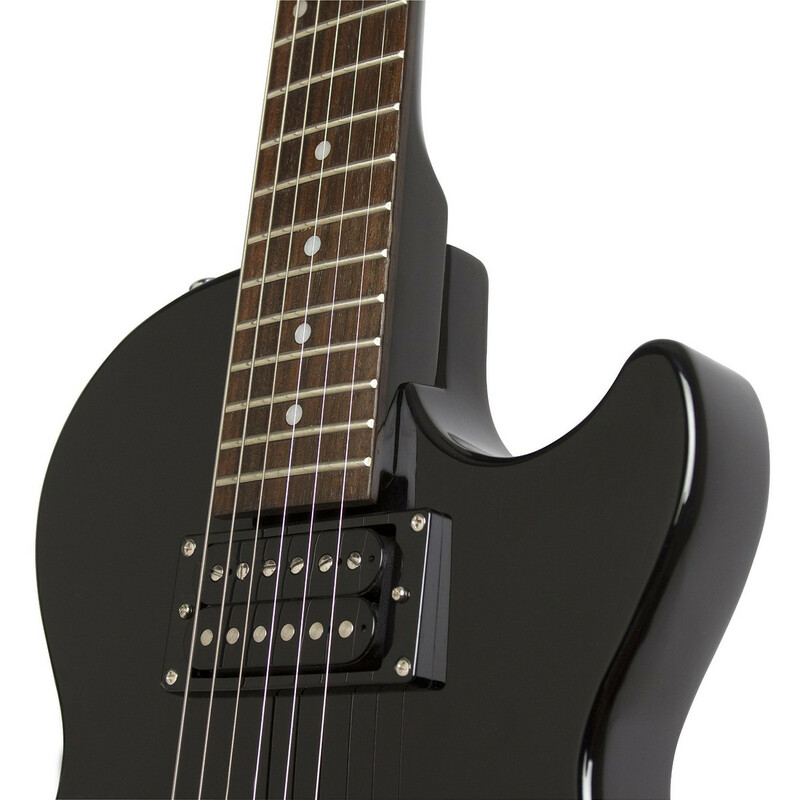 The guitar features a solid Mahogany body and bolt-on Mahogany neck, providing it with rich sustain and a smooth, full-bodied tone. 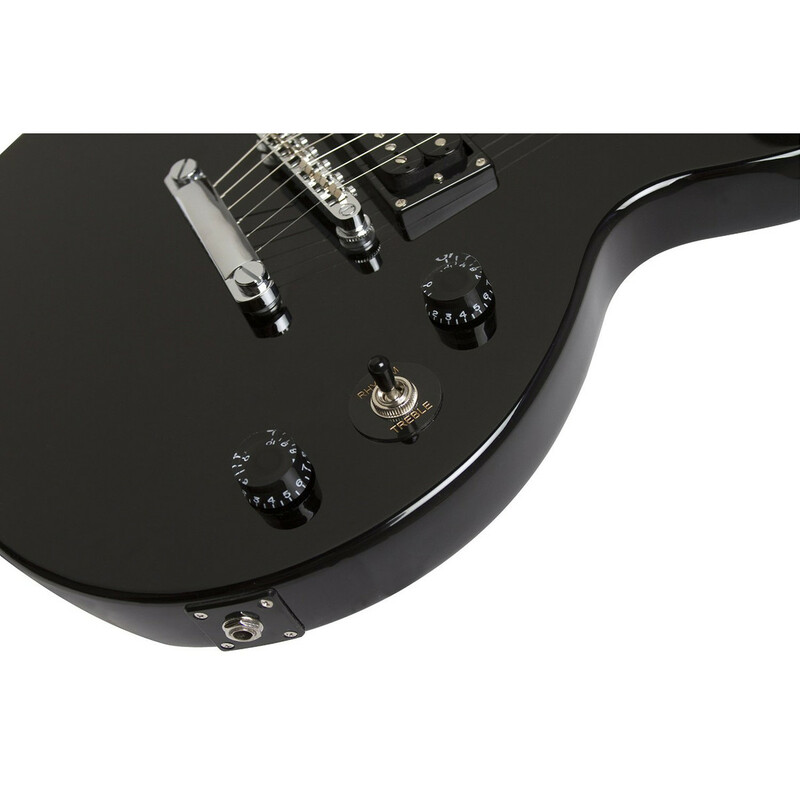 The neck's classic 1960s SlimTaper™ profile is ergonomic and comfortable, and gives the neck an authentic vintage feel. Perfectly complementing the Mahogany body's natural resonance are the 700T and 650R open coil humbuckers, which use high quality Alnico magnets to deliver a warm, expressive vintage tone ideal for virtually any style.